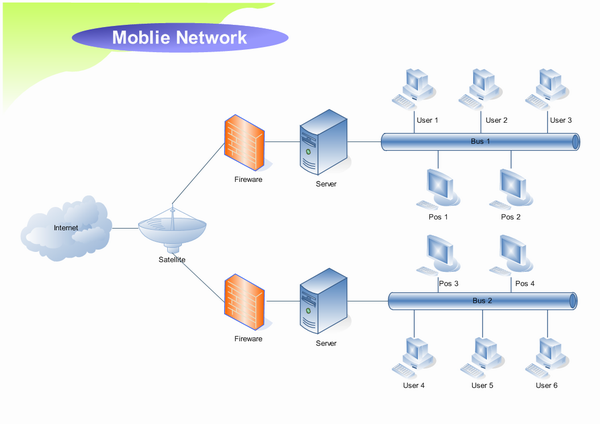 LAN Diagram Software - Perfect Network Diagramming Software with examples of WAN, LAN Diagrams. Edraw Network Diagram is ideal for network engineers and network designers who need to draw LAN diagrams. A network connecting computers in a relatively small area such as a building. A Local Area Network (LAN) delivers applications to local users, and provides the infrastructure for group collaboration, file sharing and transfer, printing and the rest of the user experience. Our LAN designs take into account the needs for resilience, security, Quality of service and scalability. Edraw Network Diagram is ideal for network engineers and network designers who need to draw LAN diagrams. 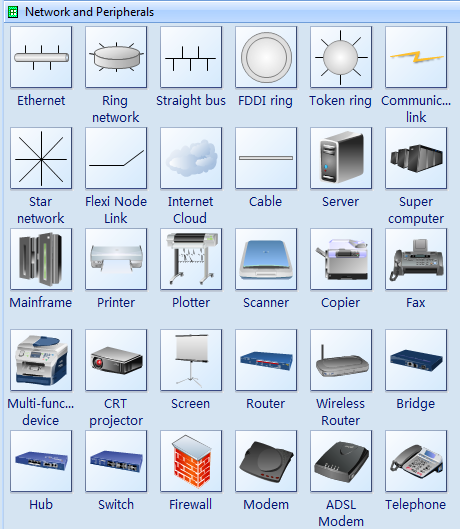 It had defined some commonly used LAN diagram symbols in drawing LAN diagrams. Just drag and drop pre-drawn shapes representing computers and network devices. Double click and set equipment data.